Around my home city, I mostly find traditional hummus in a few options, such as, with roasted red pepper, lemon, garlic or olive. Then, I discovered a hummus with dates at a new restaurant near our home! 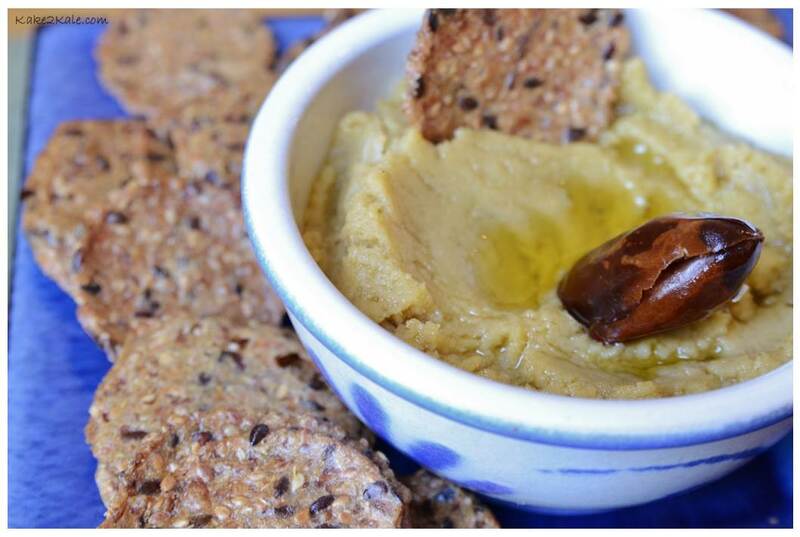 This is a version that we didn’t find on our travels and it proved to be a delightful change from the usual hummus. I liked it so much that I’ve been recreating it at home, and am now happy to share with you. Feel free to play with the recipe and adapt as you like. On one occasion, I added a kale leaf to my recipe and it turned into a lovely celadon green. Chickpea – Also known as garbanzo beans, chickpeas are considered a legume. Because this legume is high in protein and fiber it is also effective at regulating blood sugar. 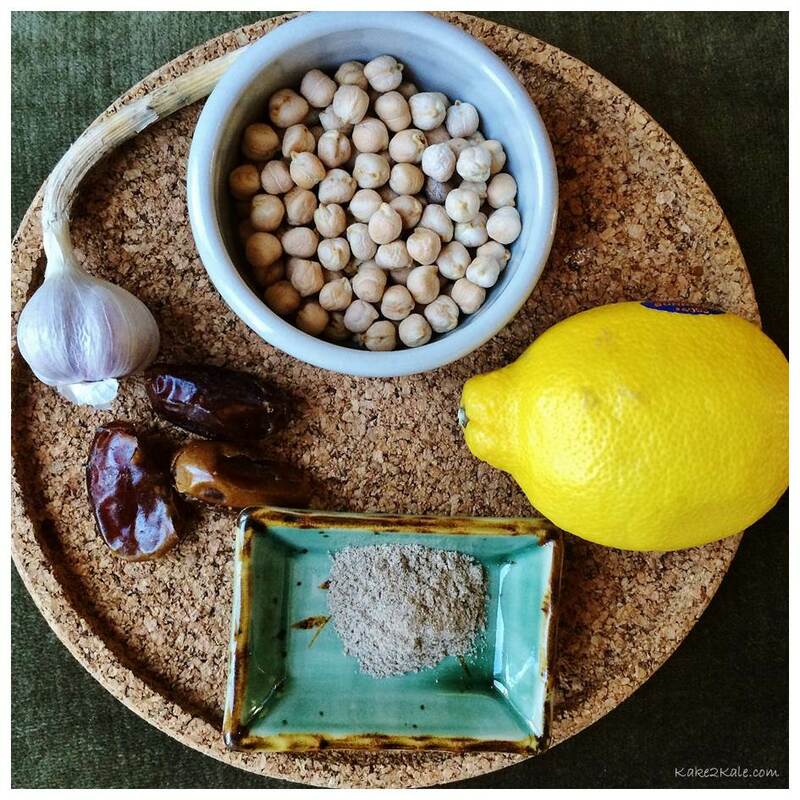 Chickpeas may also be able to lower cholesterol. It contains a range of vitamins, minerals and is particularly high in folate and iron. Garlic – The major player in the allium family ( includes, leeks, onions, shallots, chives, green onion) contains sulphuric compounds that may help with lowering blood pressure and destroying cancer cells. Allicin, one of these compounds in garlic is not only anti-bacterial, anti-viral and anti-fungal, but research has shown that allicin can help your body to neutralize dangerous free radicals. Lemon – Contain vitamin C, folic acid and a range of phytochemicals (under the antioxidant family). The phytochemicals support one another in anti-cancer activity, and strengthening cardiovascular health, amongst a host of other benefits. Cardamom – This is considered the Queen of Spices and ranks behind saffron and vanilla as the most expensive spice. Its antimicrobial properties have been studied and found to be effective at inhibiting the spread of dangerous microbes that cause food poisoning. It may also have anti-carcinogenic properties as well. Place all the ingredients in a food processor or good blender and puree until smooth. You may want to add more oil or lemon juice if it is too thick and not loose enough. Scoop into a pretty bowl and serve with your choice of crackers, tortilla chips, etc. 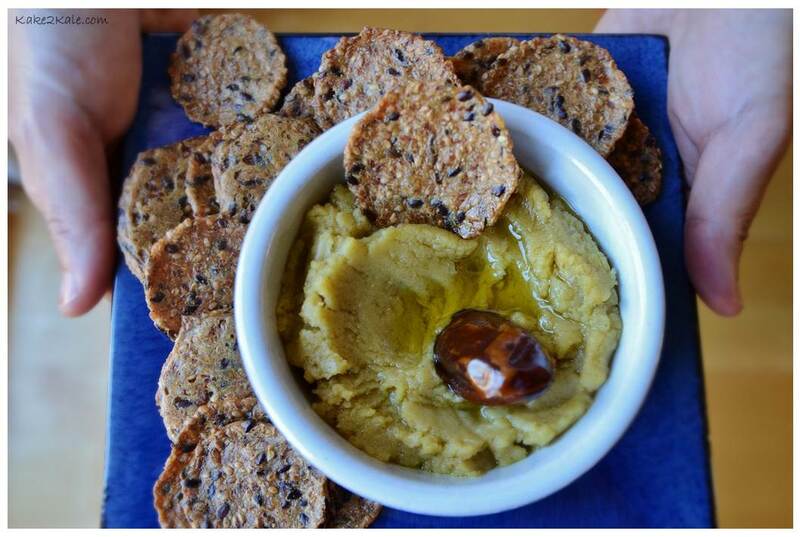 In the spirit of experimenting, Kale spread this hummus on a cracker and topped it with a slice of banana. Strange combination, but it worked!! 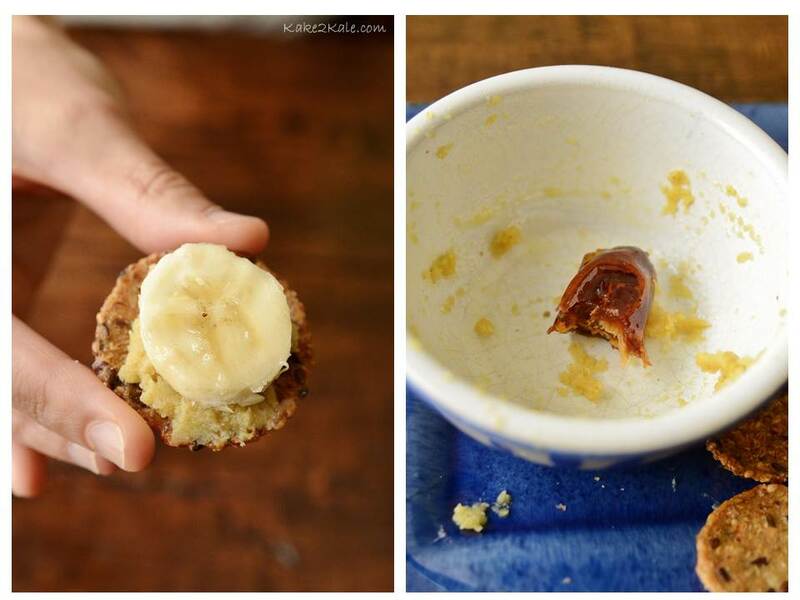 The hummus took on a peanut butter flavour when eaten with the banana. You never know, this could be next trendy food combo!